Members Save Even More - Create a Free Login for Member Deals Sign Up! 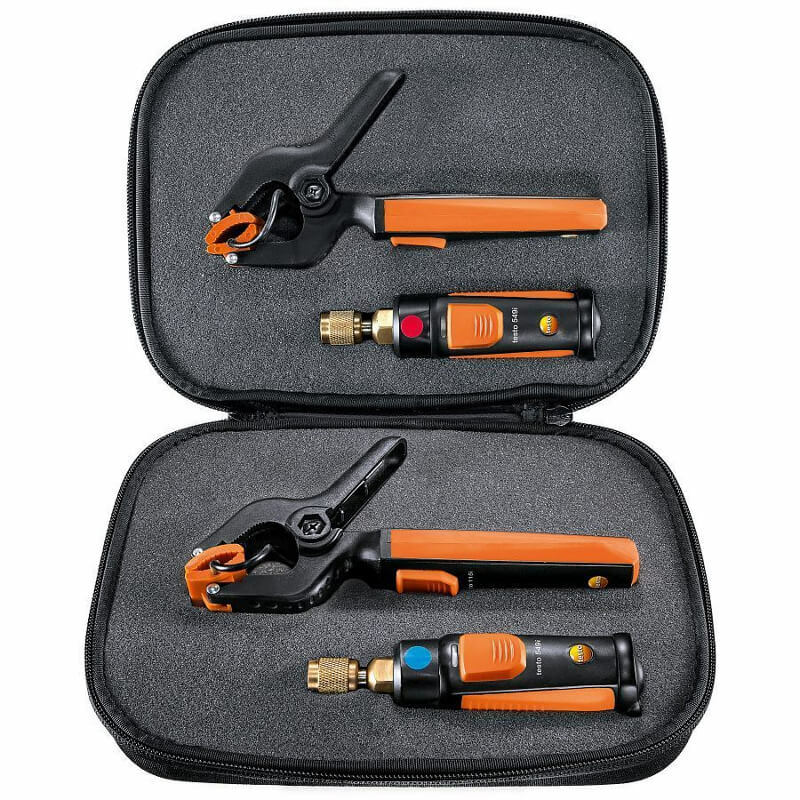 Testo 0563-0002 AC/R Wireless Smart Probe Kit - Bluetooth Manifold contains two (2) Testo 115i Wireless Pipe Clamp Thermometers and two (2) Testo 549i Wireless Refrigeration Pressure Probes for all of your commercial and residential refrigeration, cooling, and heating testing needs without bulky, heavy hoses and wires getting in your way. The Testo 115i Temperature Pipe Clamp with Wireless for Smart Probes App measures pipe temperatures from -58 °F to 302 °F on pipe diameters from 0.25” to 1.5”. 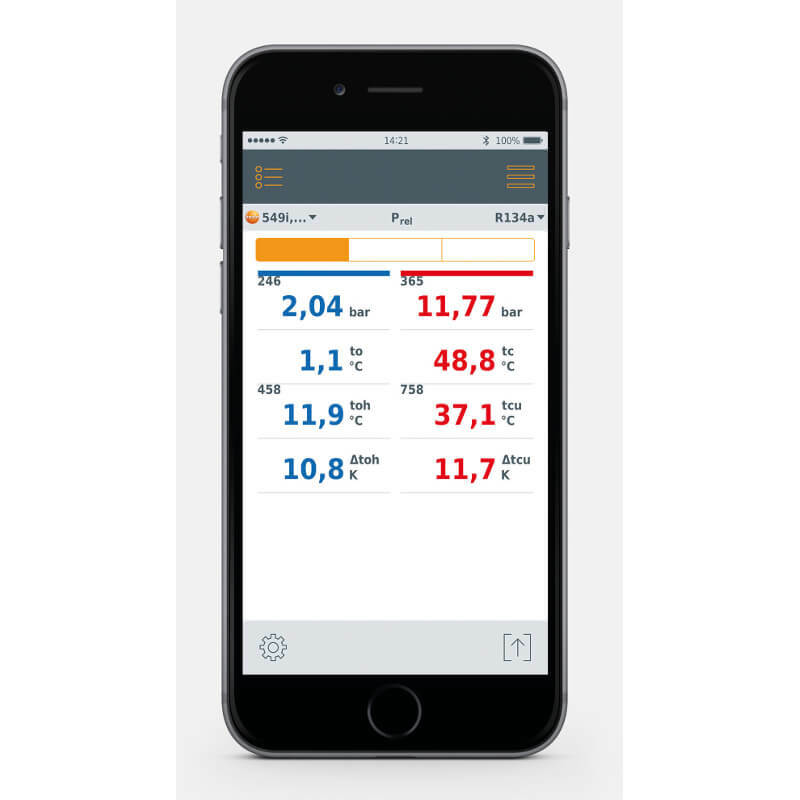 The Testo 115i transmits data wirelessly via Bluetooth to Apple and Android smartphones and tablets. 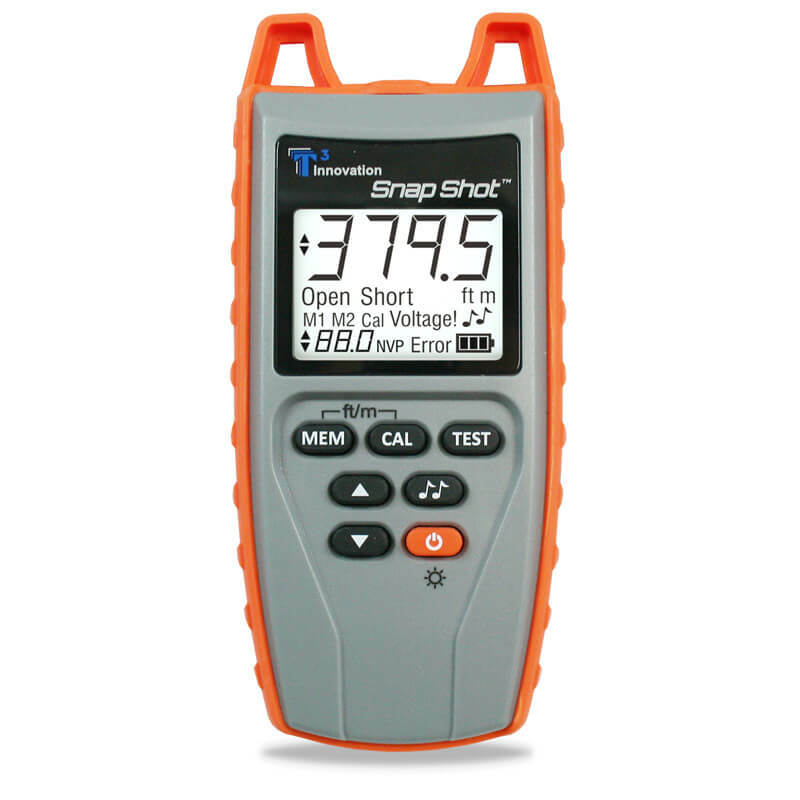 Uses the Testo Smart Probes App that is available free on the App and Google Play Store. 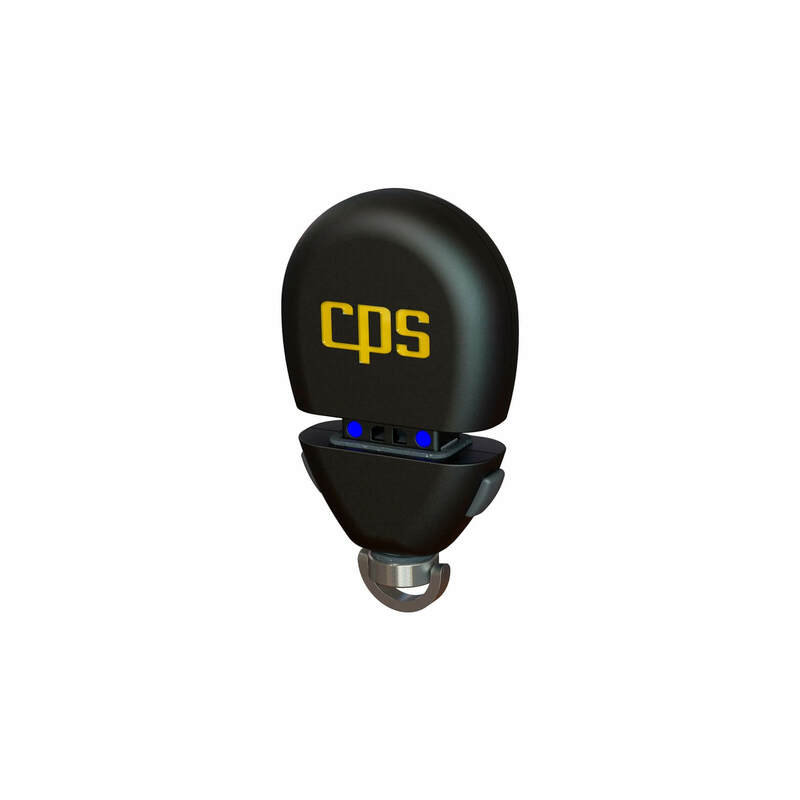 The App features tutorials, wizards, custom reports, automatic calculations, comments, pictures, and supports the connection of up to 6 Testo Smart Probes at once. 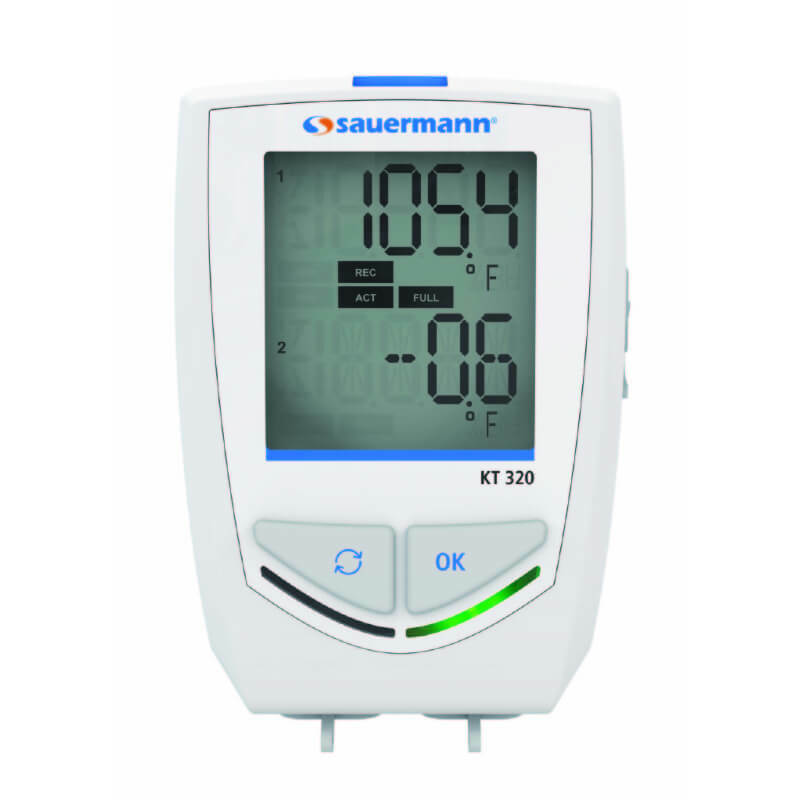 The Testo 115i features accurate NTC temperature measurements (superior over standard thermocouple measurements), simple on/off button operation, and real-time data trending. 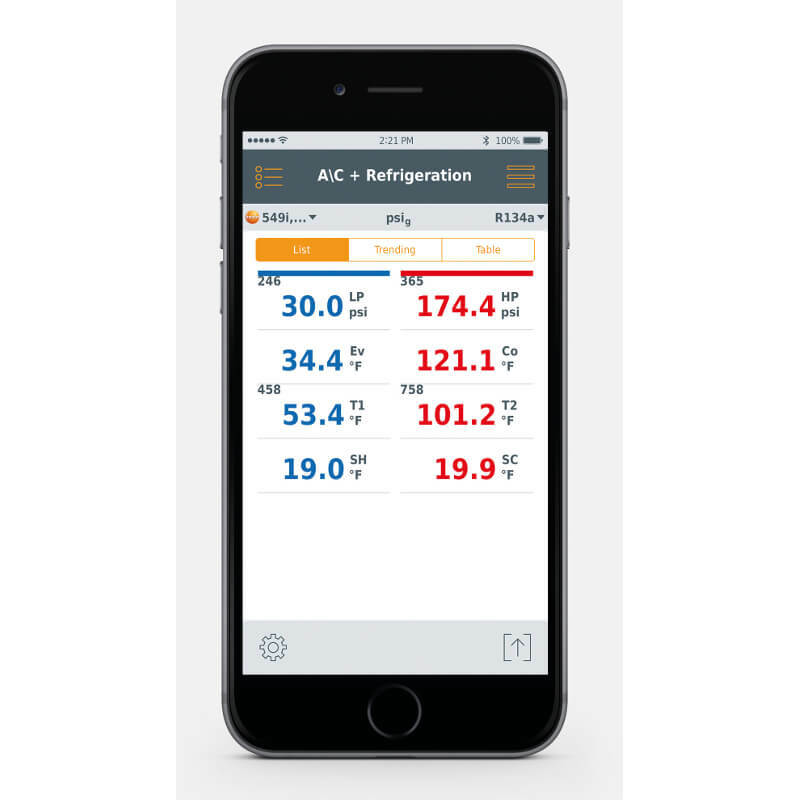 Testo 549i Wireless Refrigeration Pressure Probe for Smart Probes App uses wireless Bluetooth technology to provide real-time pressure measurements to the free Testo Smart Probes App, which can support up to 6 wireless probes simultaneously. 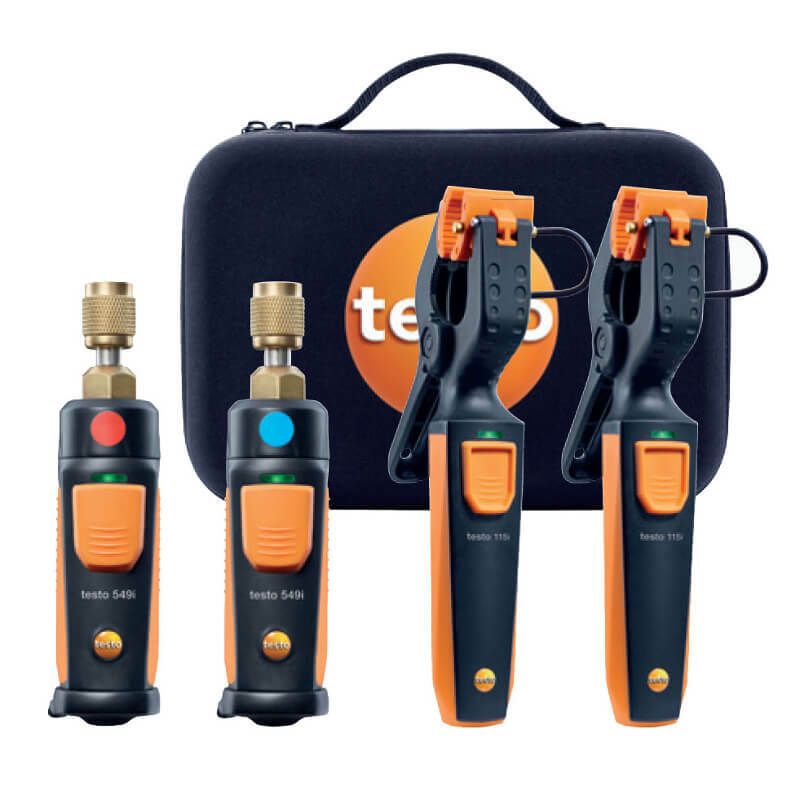 There are no hoses or wires to worry about, so testing is clean and simple and the Testo 549i can be combined with the Testo 115i temperature clamps for automatic in-App superheat and subcool calculations. 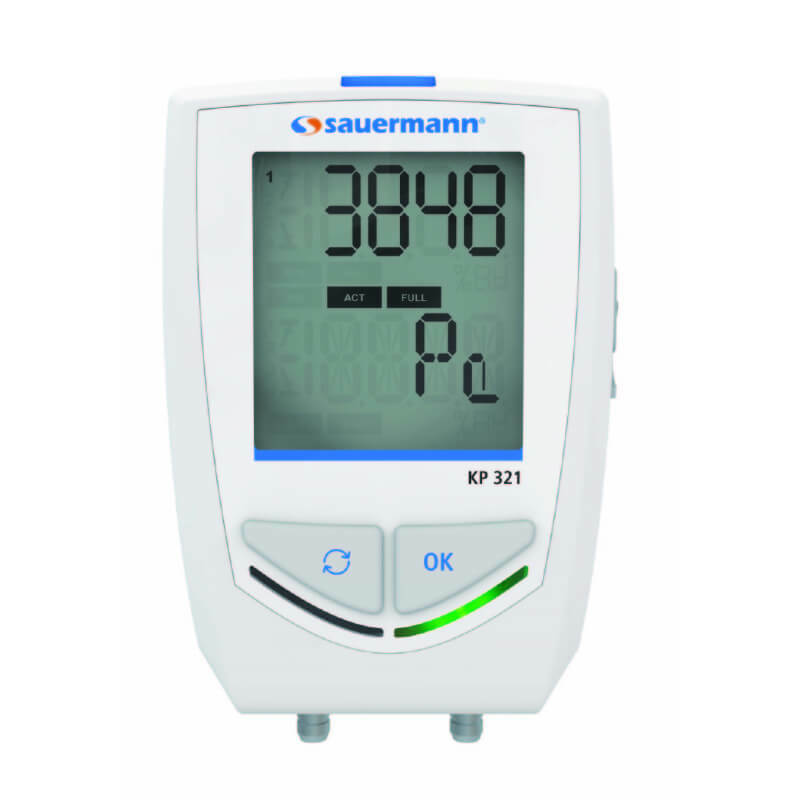 The Testo 549i has a robust design with Schrader valves to prevent refrigerant loss and single button operation for ease-of-use. Data can be easily exported as Excel or PDF files for straightforward reporting. 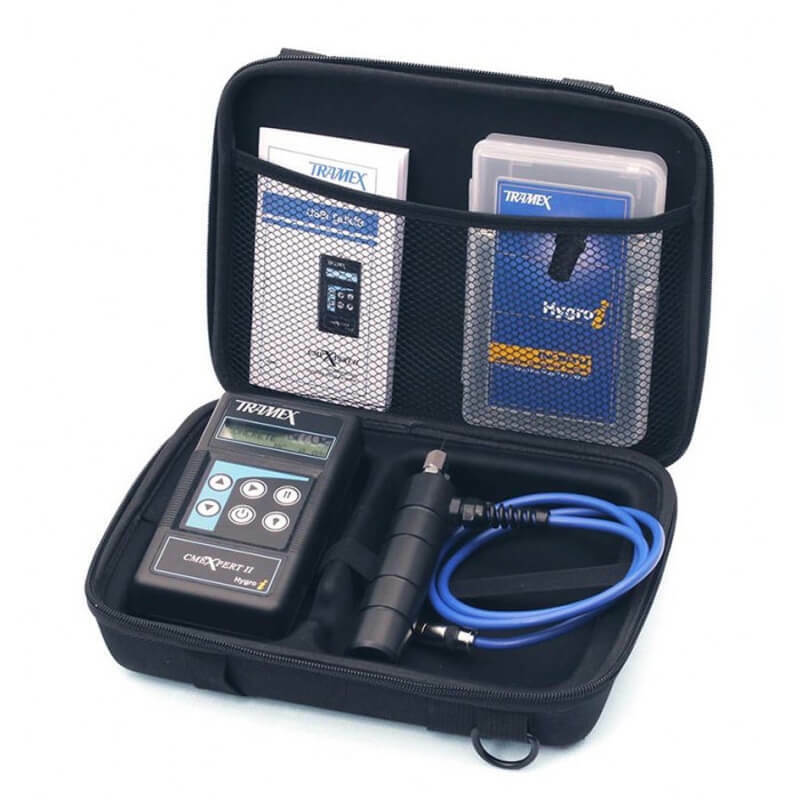 Testo wireless probes offer advanced technology at a low price to save the technician time and money. Watch Video about Testo Smart Probes - Go to Applications tab. *This kit requires a smartphone or tablet. 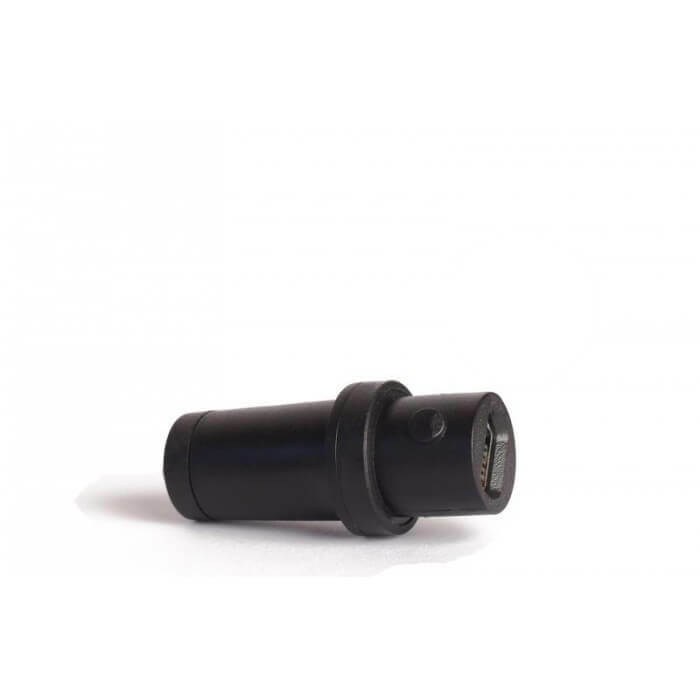 Pipe diameter size measurement range: 0.25" to 1.5"